Yesterday on August 31st, 2016, Gatorade and Snapchat joined forces to produce the first ever game on Snapchat. But let’s face it: this whole endeavor was another clever way for Gatorade to disguise it’s advertising efforts in the form of an interactive game. Phew! Glad we got that out of the way! No doubt following their Super Bowl success and their attempt to replicate Facebook’s March Madness basketball game housed in the Facebook Messenger app, Gatorade struck marketing gold with this new venture and, hopefully, paving the way for more sponsored games on Snapchat. Honestly, if Amy hadn’t told me about this game, I would have never known about it. Even after I heard about it from her, I expected to see some directional artwork, signage, etc. 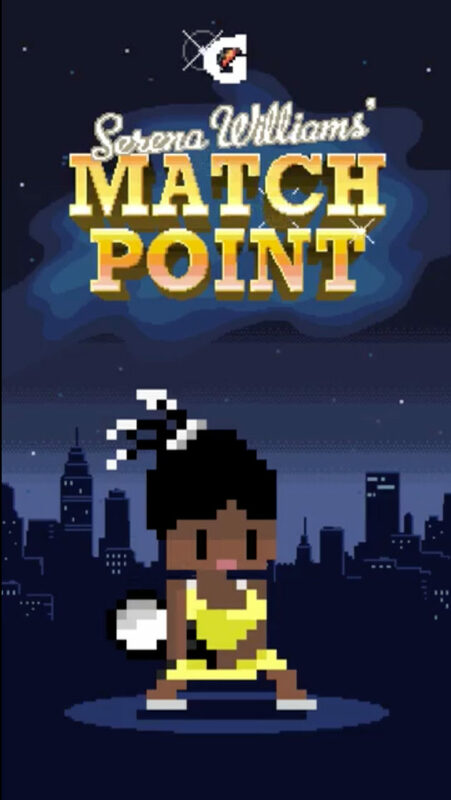 pointing me to the appropriate place to access the game on Snapchat. It still took us a few minutes of a Google search to be able to, finally, navigate to this fancy new ad. Yes, I know it is slightly pathetic that a 5 – 11-minute search was enough of a deterrent to make me almost give-up, but the reality is … nowadays, I am not the only one in the world who gets distracted after so short amount of time. This number kind of ties in with the first one. The number of portals I had to jump through to come in contact with this thing was a little exhausting. Again, if you’re rolling out something completely new, wouldn’t you want it to be the first thing people see when they enter your app? Especially considering the attention span of today’s audience, you have an extremely minimal window to make an impression … there is no time to waste! 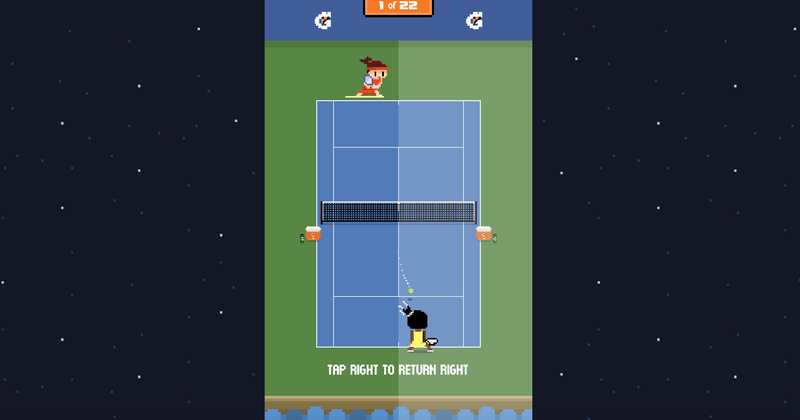 It wasn’t until I read Ad Age’s article on this game, that I knew this was Gatorade’s ad. 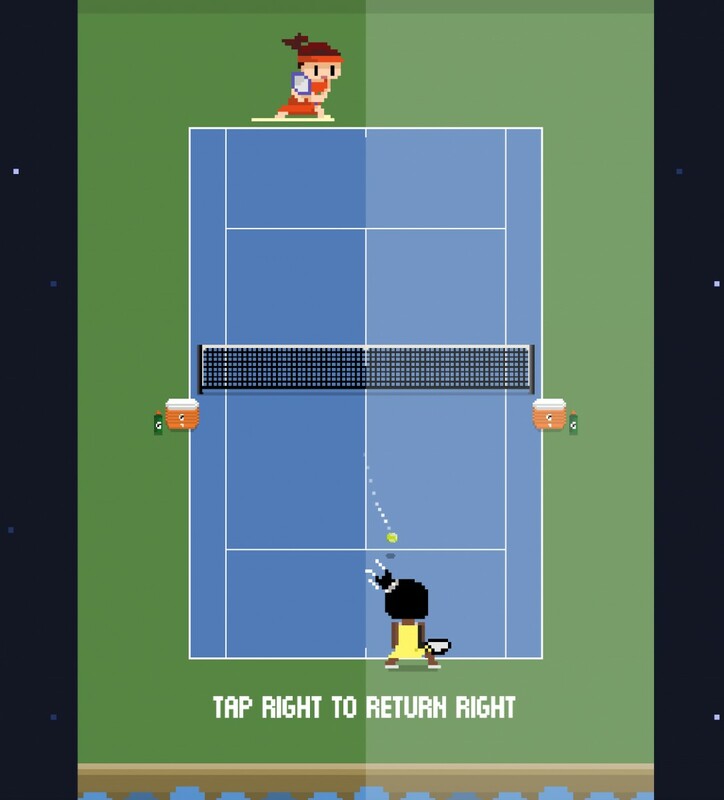 Since I had to jump through ESPN’s Discover story, I assumed that this ad-game was developed & produced by ESPN and was a result of their coverage of the U. S. Open. You see a the Gatorade “G” above the game title when you begin playing, some Gatorade water bottles & coolers while your characters are playing and it’s not until you lose (which I did, a lot) that you see any big mention of Gatorade. Now, I am aware that branding on Snapchat is supposed to be “minimal”, but it just seemed like Gatorade got the short end of the stick on this one, considering they probably had to front $7 million dollars for this campaign. As a 90s child, I thoroughly appreciated the throwback-esque look of the game. It was cool, different and definitely piqued my interest over everything else that is coming out. Although Gatorade’s branding was, in my opinion, poorly communicated, their messaging was spot on being one of Serena Williams’ sponsors and deciding to develop this game. It was a great tie in for Serena and the timing of the competition. Even though some things were a little off … I genuinely enjoyed breaking away from my day to play this … whatever you want to call it.